Currently in February I’ve been…. Working on a lot of projects all at once. This isn’t normally a problem I face, I am fairly good at organising my diary and saying no to extra things. I have learnt that I get thoroughly miserable when I don’t leave enough time in my week to do nothing! But right now I am juggling essay writing, blogging, house-moving preparations and creating a new Course for my church on top of my full time job. At the moment it is manageable and it should ease up about mid-March so I am not worried. In fact, I am really excited about these projects and I am glad they are happening! I just have to mindful of my commitments over the next couple of weeks! Watching very silly horror movies. In the last few weeks Rob and I have laughed uproariously at the baffling Sharknado and the subversive Tucker and Dale vs Evil. For the record I have yet seen Alan Tudyk in anything where he is less than awesome. That man soars! Eating special offers from College. The College where I work has a catering department that sometimes sell special treats at discounted rates to staff. The other week they were selling Chicken & Leek pies for £3. I got two! One has been readily devoured and the other is in the freezer waiting. I hope more offers come our way soon! Indulging in Rocky Road. I had an odd Tuesday off work this month to fit in some appointments. To make the most of it I wandered into town for some high street shopping. I bought my veg from the grocers, meat from the butchers and then stopped by the bakers, ignored the bread and just got cake! Shopping is hungry work! Crying a lot. I have debated whether or not to mention this on the blog or not. A good friend passed away last week. He leaves behind a wife, children, grandchildren and a whole tribe of friends and family who are really going to miss him, myself included. It felt wrong to carry on blogging about the little non-consequential things I love to write about when something so big has happened and not mention it. Although I am not sure whether I want to use the blog to process grief or my toughest struggles. Mostly I prefer to deal with these things in private with my own thoughts, my prayers and my close friends. There aren’t really strong silver-linings when someone passes away, even when you have faith that God has made a way for you to be reunited someday. It can still be a long hard walk ahead before you see them again. Our world screams at us to strive for a greatness measured in wealth and beauty and fame, but one thing I have found by seeing the outpouring of love and grief at my friends passing, is that it is absolutely enough in life to love you family, to work hard and honorably, and to be a good friend. Honestly, it is enough, it’s more than enough. My Mum said to me over the weekend that ‘we love him the same today as we did last week’. We will love him the same for the rest of our lives until we see him again. Love is the true measure of greatness and it does not diminish. Even when we depart, love goes with you and love is what you leave behind. Slow reading this last month. January seemed to launch a whole new wave of change with work, church and home so any leisure time I have has mostly been spent wrapped up in my new dressing gown and gazing at the TV…resolutely not thinking! That aside I have managed to finish two books since our last Book Bag Post. Portobello – home to the world-famous street market, Notting Hill Carnival and Clem Alderton. She’s the queen of the scene, the girl everyone wants to be or be with. But beneath the morning-after makeup, Clem is keeping a secret, and when she goes too far one reckless night she endangers everything – her home, her job and even her adored brother’s love. Portofino – a place of wild beauty and old-school glamour. Clem has been here once before and vowed never to return. But when a hansome stranger asks Clem to restore a neglected villa, it seems like the answer to her problems – if she can just face up to her past. This is the third book I have read by Karen Swan with a Christmas cover, she must do well every December! 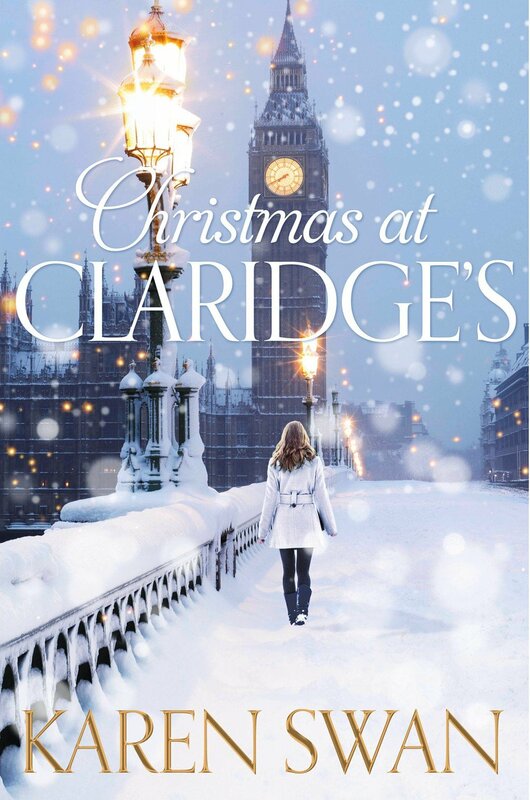 Whilst The Perfect Present and Christmas at Tiffany’s could justify the winter wonderland front cover, Christmas at Claridge’s is a bit of a stretch. The story starts on New Years Eve and ends with the following Christmas in an epilogue at the Department Store. The main action however takes place in the summer on the island of Portofino. Marketing sneakery aside the story is still an engaging one, although it does feel like it is almost two separate books. Most reviewers on Amazaon seem to favour the second half in Portofino but I actually liked the first half more set in Portobello. I raced through the first half of the book, soaking up every detail and then began skim reading during the second half. The relationship between Clem and her brother more interesting and dramatic than the eventual love interest who seemed to be more of your standard millionaire fantasy cliche. I also found Clem’s struggles to save her brother’s business in the first half more relatable than her commission to redesign a mansion in the second half. Part of my trouble with the second half was that I suddenly decided that I just wanted to know the mystery that Clem was running from, so I became impatient to get to the end to see if the truth would match my theories. If I had been in a more leisurely frame of mind I probably would have enjoyed this story more! Fleur O’Farrell seems to have the perfect life. Similarly, newly-wed Dervla Vaughn appears to be living the dream. However, with husband Christian working away more often than he’s at home, there’s trouble in paradise. 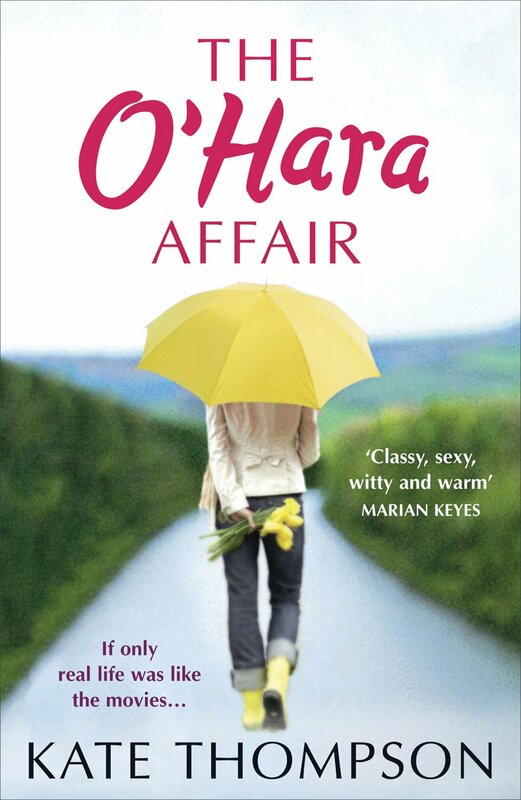 Left alone to care for her demanding mother-in-law, Dervla wonders how her once-enviable life changed beyond all recognition… Surely married life should be blissful, not stressful? I really enjoyed slipping into this book over the last couple of weeks. It has the feel of a less shrill Desperate Housewives show. Women with ideal careers and suitors galore juggling various dramas sometimes for comic relief and other times with heart touching moments. The story of Dervla caring for her mother-in-law was the most engaging. How their relationship shifts over the course of the book is subtly done; caring for Daphne never gets any easier or more enjoyable but the change you see is in Dervla’s growing respect and loyalty for her. It raises some good hard questions about care for the elderly without trying to shoe-horn in easy answers. I did realise a few pages in that I was clearly reading a sequel or a follow-on book which is normally an irritant. The thing is that when you finish a book and the characters have all won their dream job, got through the brake up or been united with the love of your life, it feels right because you know the characters have earned their victories. When you start book two without knowing about book one you see a bunch of people with strangely charmed lives and it all feels a bit unreal. 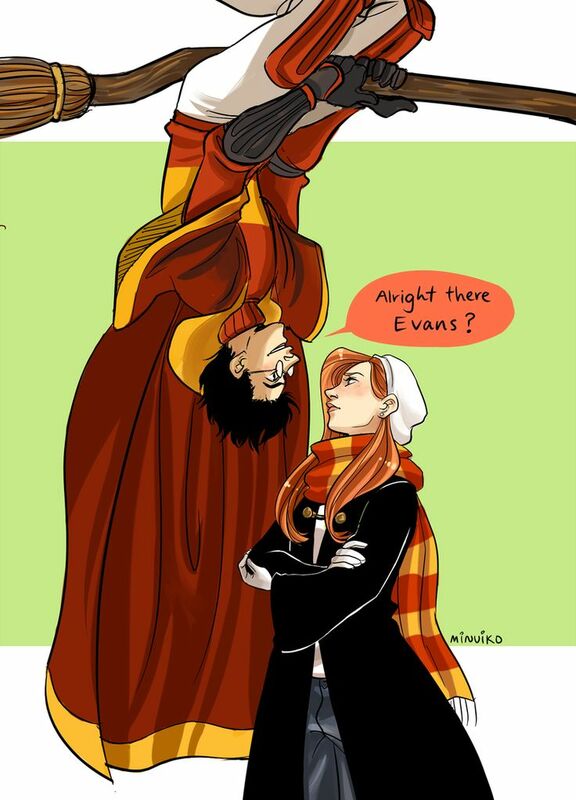 Yet again a bit of un-realism in a cheering chick-lit never bothered me anyway! And I did have fun reading these dramas. The epilogue was a bit tacked on but it was clearly setting up the next installment of the Lissamore series, so I will let it off. 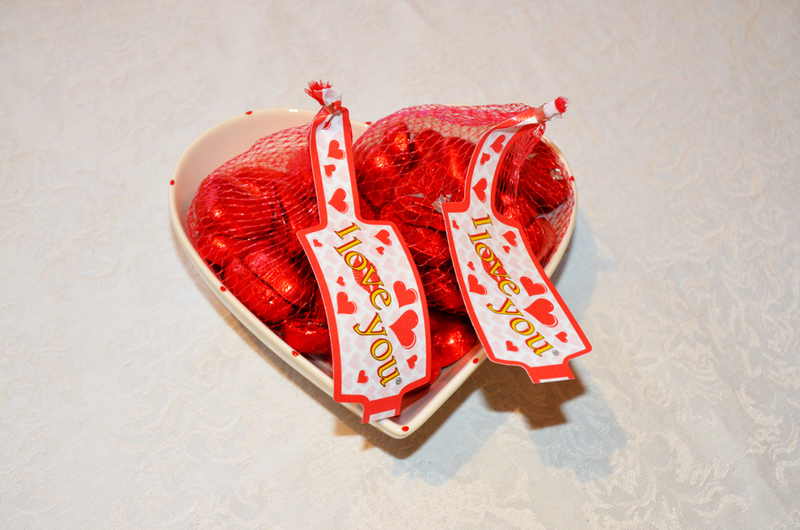 Hello and Happy Valentine’s Day to you! I’ll be honest, Valentine’s Day isn’t something I normally celebrate. For most of the Valentine’s Days in my life I have been single and now that I am married it seems a bit forced. It feels weird to give a card to someone you spend the majority of the day with to tell them something that you normally say every day. 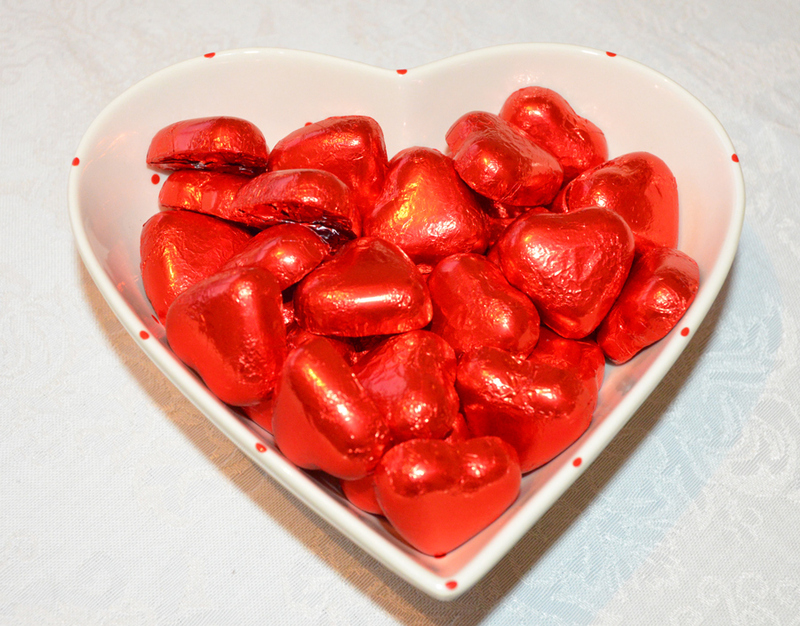 That aside, I actually like the cuteness that surrounds Valentine’s Day, the red hearts, pink roses, sparkling jewelry. It”s all nice to look at! This year as it happens Rob and I are going to a friends house for dinner. They’ll be three couples there. We didn’t plan it as a Valentine’s Day thing, we just try and get together every now and then and the next date everyone was available happened to be Valentine’s Day. 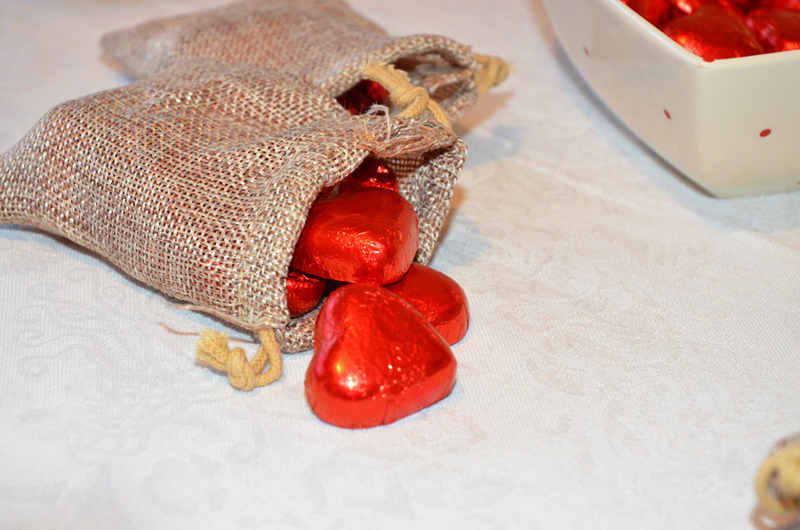 When I saw these heart chocolate in a Pound shop I couldn’t resist putting together a little Valentine’s Day treat for my friends. 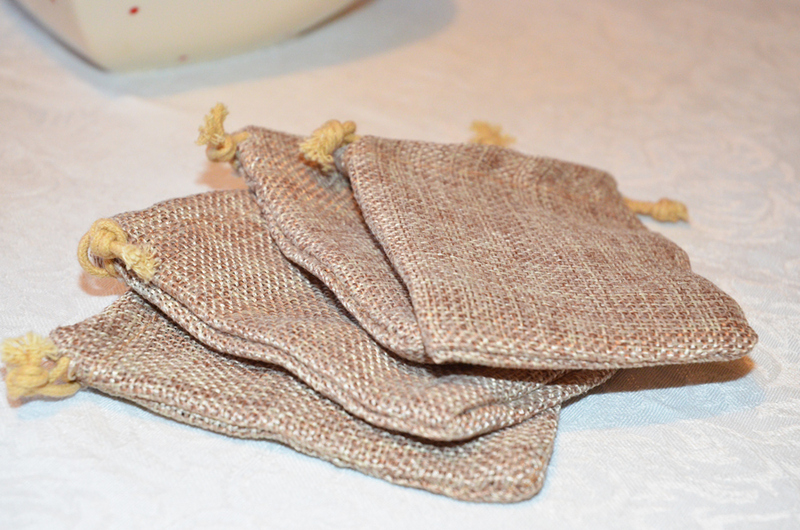 I picked up three bags of chocolates and then looked online for these little drawstring bags. They are from notonthehighstreet.com and I think they are adorable! 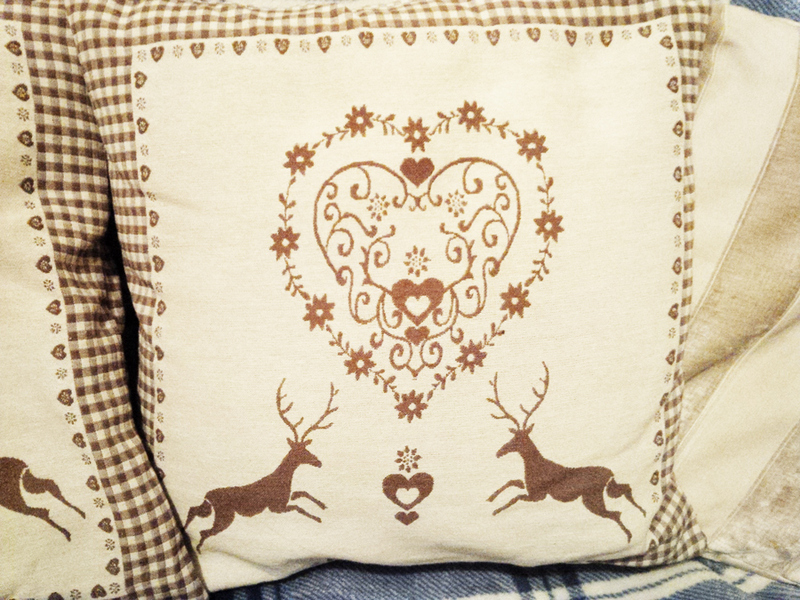 I am tempted to get some more and just have them in stock for little gifts throughout the year. Then it is just a simple case of dividing the sweets up and filling the bags! I am so looking forward to giving these to our friends! I just have my fingers crossed that they don’t read my blog today and see this before we meet up! 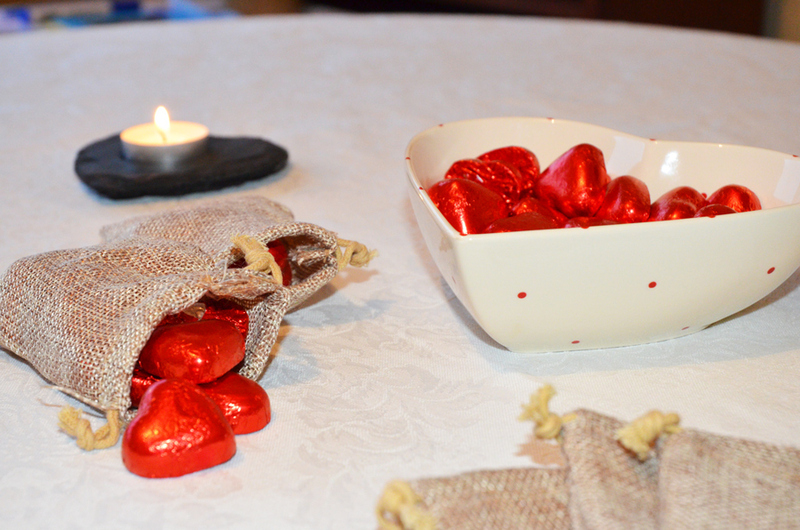 I realise as I look through my blog posts for the next few days that this is turning into a Husband Appreciation Week! Maybe that is not inappropriate as Valentines Day is approaching and I would rather spend my typing on Rob than about 50 Shades of Awkward Fantasies! Anyway, the other week I had a very persistent chocolate craving and no chocolate in the house. In fact more than chocolate, what I really wanted was some form of hot chocolate pudding. Rob agreed to walk down to the new Booths in Barrowford with me to see if we could find something suitable. I thought there would be something in the frozen meal section. Alas, when we looked there was nothing but cheesecakes! This would not do! 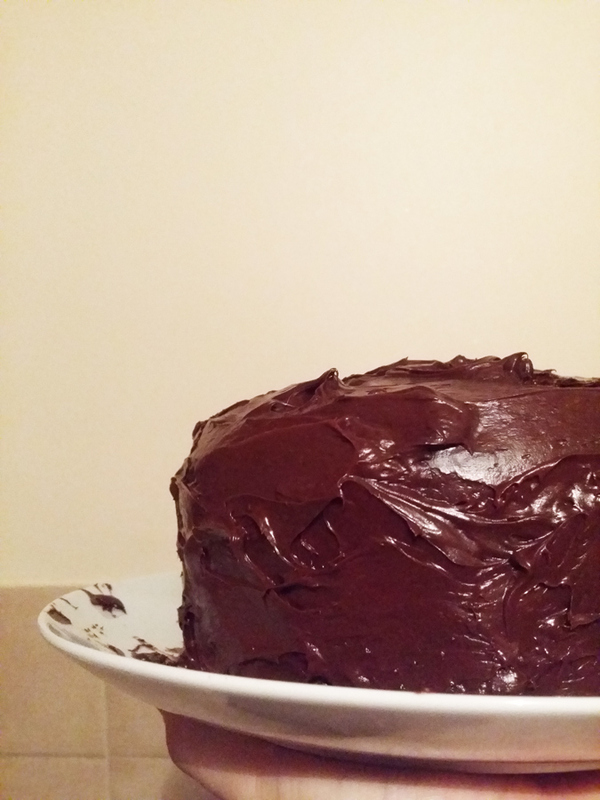 We wandered around the shop for awhile trying to find something to please my tastebuds, but we drew a blank until Rob offered to buy a Betty Crocker Devil Food Cake Mix and bake me a cake! You see, this is how I know he loves me, he offered to bake me a cake on a Thursday night for no other reason except that I wanted cake! We picked up the cake mix, some chocolate icing and a pack of eggs. When we got home I settled on the sofa and watched TV whilst Rob got to work. Rob had to take this photo. 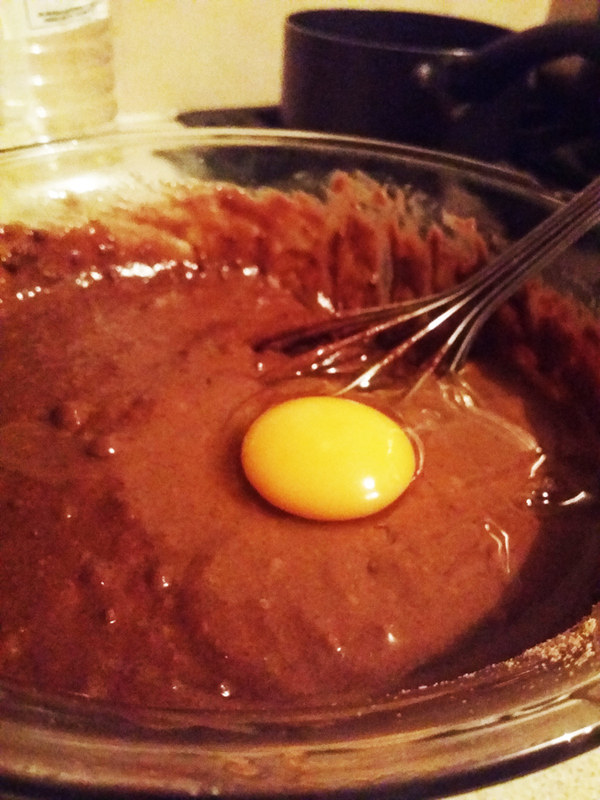 The mixture was so thick that this egg was just happy to rest on the surface! What we didn’t count on was that this cake was going to be massive. We blame the Booth eggs, they seemed to have extra rising powers! 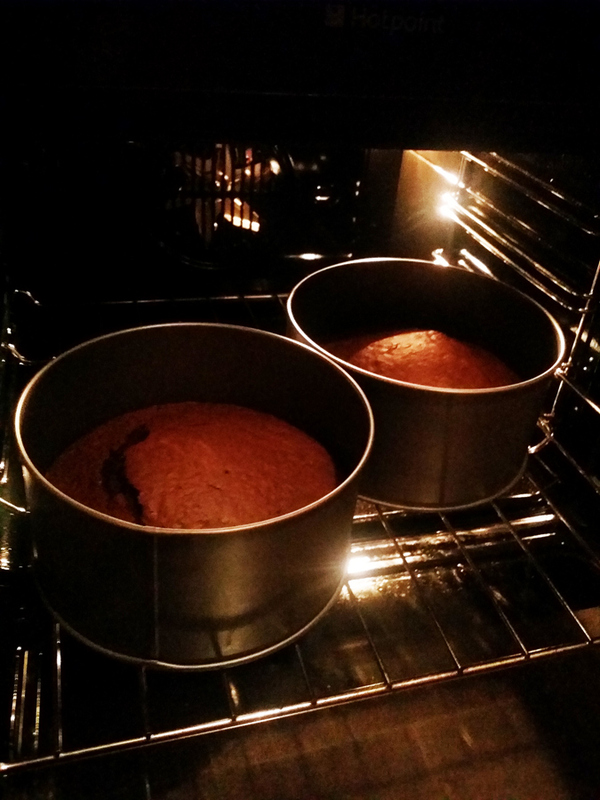 The house began to fill with a chocolate baked goodness smell as Rob put the cake together. Now at this point I would have been satisfied and ready to start eating, but Rob is a designer and he wasn’t done perfecting. A small tub of chocolate icing later we had this as the finished product! Chocolate heaven Batman! It tasted as wonderful as it looks here. The only obvious problem was that we now had enough cake for an actual Birthday party. We had too much cake, which is not a problem I had ever thought was possible. 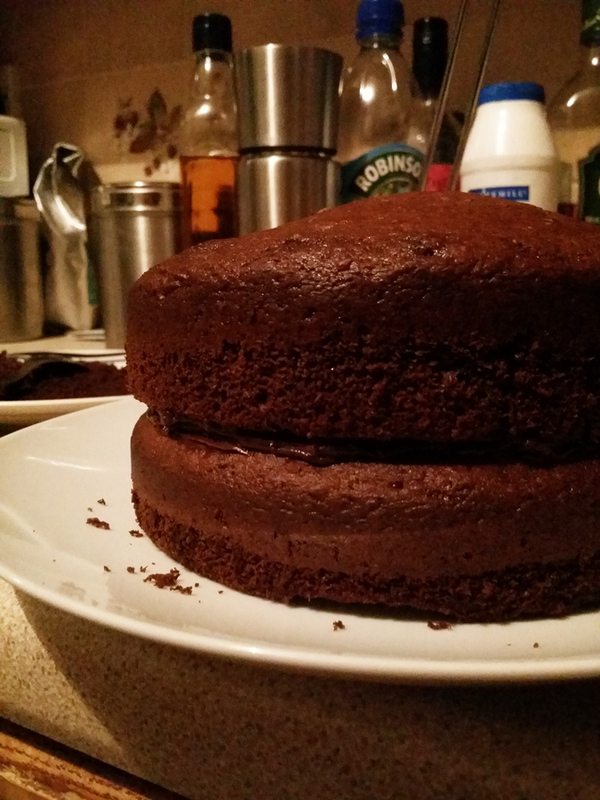 I don’t know if people can be a bit sniffy towards cake mixes but really for limited effort and maximum taste I can’t see any fault with them, especially if you have a cake hankering on a random Thursday night! In the end Rob took the majority of cake to work and ruined his colleagues January diets! Hee hee hee! I took this OOTD photo straight after work yesterday. My lipstick had faded completely and I was feeling ready to throw on some joggers and a hoodie but before I entered wind-down mode I really wanted to get an OOTD photo. First reason why, is that I really love this Oasis dress; the print is gorgeous. You can’t see it very clearly in the photos but it depicts a lovely pastoral scene; trees and water, it makes me think of a Japanese garden. 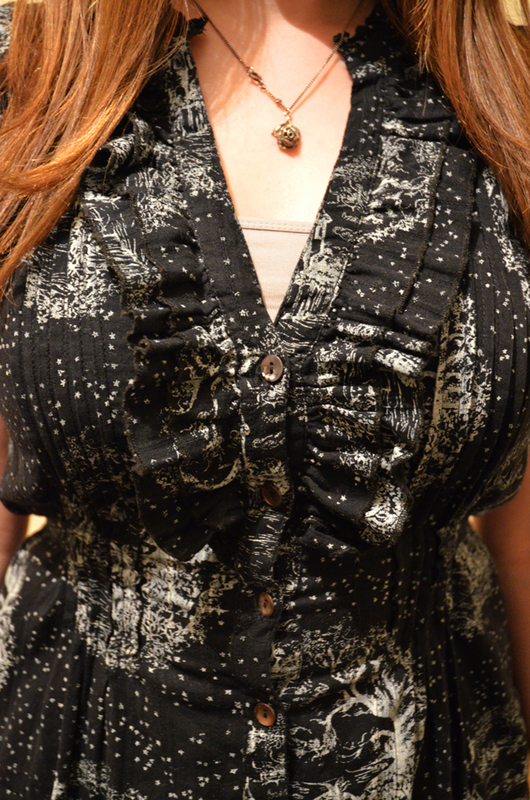 This is one of those rare things as well; a shirt dress that can accommodate an ample bust! There is also a tie at the back to pull in the waist which gives it a nice shape. I like wearing it with white tights so that you don’t lose that pretty edging, of course you could wear it with bare legs but probably not in February! Add to that little puffed cap sleeves, that tier along the hem and ruffles galore and you have got a discreetly pretty work dress. There is another reason why I wanted to share this dress with you. Every time I wear it I remember exactly where I was when I first bought it. It was the day before New Years Eve, 2010, I was shopping with my Dad in Preston and we were in Debenhams. We had split up so he could look at jumpers whist I browsed dresses. In between shopping I was also texting. There was a boy who I had been talking with on Facebook. We had meet a few years ago and hadn’t kept in touch much but recently when our paths crossed there seemed to be a spark there. We began chatting very causally on Facebook and texting now and then, but we lived quite far apart. Before Christmas we had talked about New Years Even and as neither of us had any plans he said he would find out if anything was going on near him and would let me know the plan. I was split in two! I wanted to go and see him, but it would mean driving an hour to get there and being at a party where I wouldn’t know many people. Plus did the fact that he hadn’t told me about it until the day before mean that he wasn’t really that keen on me anyway? Insecure and unsure I texted another friend and asked for advice. Now, normally for these things you would probably text a trusted girl friend, but I decided I wanted some insight into the male mind. So I called on the most bloke-ish bloke I knew and asked him what he thought I should do. It was profound! Did I want to go to the party with a guy I liked and was interested in and who might be interested in me or did I want to stay home and watch TV? The question was pretty quickly settled in my mind. I told the boy that I would love come to the party. Then I looked at myself in the changing room mirror in this shirt-dress dress and decided that I would take it. The party was great. I had a fantastic time and spent the night meeting funny, interesting and lovely people. The spark between me and the boy continued to glow. Two weeks after the party we shared our first kiss, a year after that he proposed and now we are two years into our marriage! And for the record I still love this dress! Every time I wear it now, I remember making that decision to go to a party, to say ‘yes’ when my insecurities said ‘no’. I wear this dress and remember that small risks can lead to wonderful things! Be brave today Internet friends. Even the smallest steps of courage are worth taking! Hello, I have completely stolen this idea from the hilarious toberziegly blog on tumblr, and once you’ve read my version you should go and check it out to see how it should be done properly. I think you are supposed to ask readers to submit characters in the comments and then answer the questions but I am too impatient for that so instead I will look at the Geek board on Pinterest and go for the first few characters that belong in one of my many fandoms. How I feel about this character: I love watching him think, and plot and be impolite to random people! 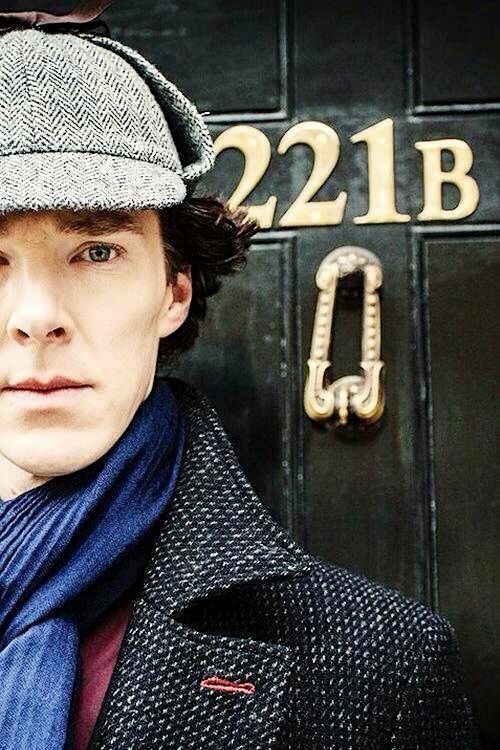 My non-romantic OTP for this character: John Watson, of course! My unpopular opinion about this character: His reasoning behind faking his own death don’t quite add up. If so many stage hands were needed to pull it off then he should have been able to trust John too. One thing I wish would happen / had happened with this character in canon: I would like him to do the mystery with the goose and the diamond which I only just about remember from the stories. How I feel about this character: Like we never got to see the best of him. My unpopular opinion about this character: His tormenting of Snape feels a bit forced in, and doesn’t fit with everything else we knew about him. One thing I wish would happen / had happened with this character in canon: I would have liked to know more about how the Potters resisted and fought against Voldemort. How I feel about this character: I liked Amy, especially the childhood scenes but I never fell madly in love with her, although that Van Gough episode was perfect. 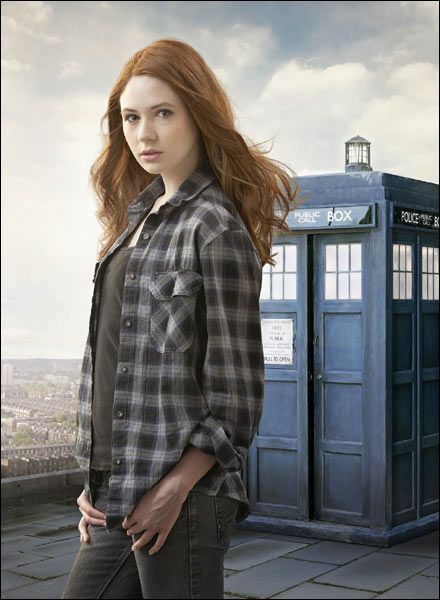 My unpopular opinion about this character: That we would have had more fun with young Amelia Pond as the Doctors Companion. One thing I wish would happen / had happened with this character in canon: I wish that she would have had a bit of a happier life: 12 years waiting on the Doctor, baby kidnapped, stuck in a different time zone from your friends and family…it’s a bit depressing really. 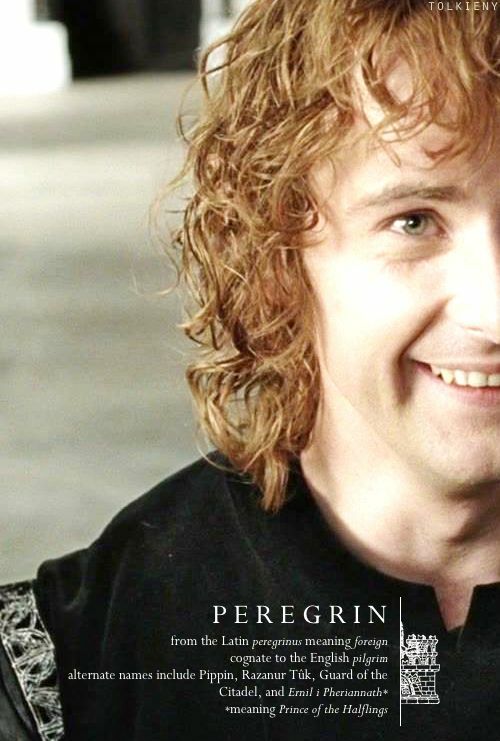 How I feel about this character: I adore Pippin, he’s funny and brave when he has to be. My non-romantic OTP for this character: Merry! My unpopular opinion about this character: No idea, I think my opinion goes with the general consensus that Pippin is awesome. One thing I wish would happen / had happened with this character in canon: I wish that we could have seen him tell Frodo and Sam everything he had been up to, oh and that he had more of a confrontation with Saruman. 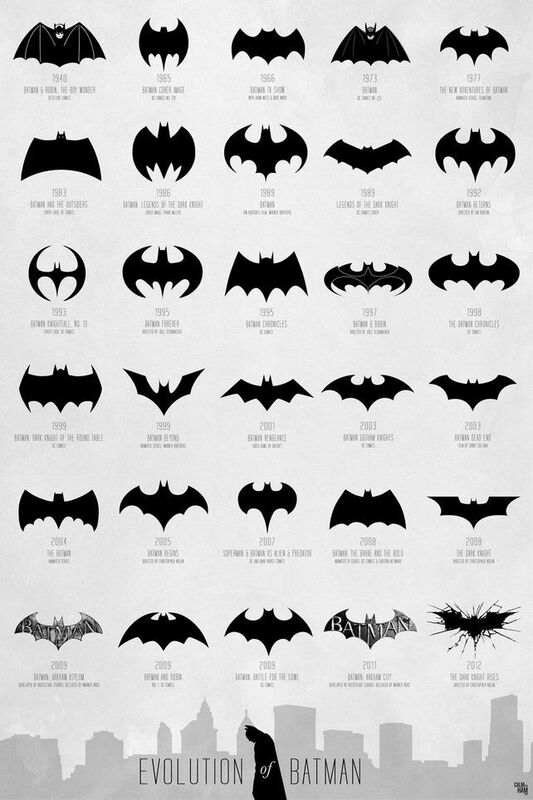 How I feel about this character: Batman is cool, twisted, the original dark hero of brooding detective vigilantism. My unpopular opinion about this character: I prefer Tim Burton’s Batman movies to Christopher Nolan’s, except for Heath Ledger’s performance as the Joker. One thing I wish would happen / had happened with this character in canon: That he would solve more crimes and mysteries without just having a gadget do impossible science for him. He’s a clever guy and we should see more of that side of him. I think that is enough for now, if there are any other geeky bloggers out there please feel free to take these questions and do your own version! I would love to see other people’s answers! 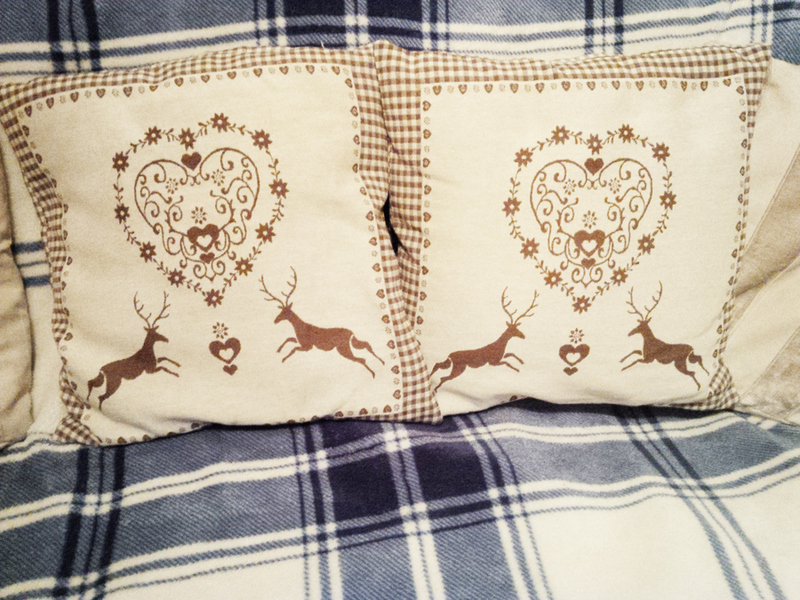 I know that sounds like a strange request but I had been seeing quite a few woodland creature inspired home accessories, (Next has a particularly lovely range) and I really wanted some extra cushions to plump up our sofa. Being the wonderful mother that she is, Mum found these beauties that fit the bill perfectly at Pendle Village Mill (Just off J12 on the M65). 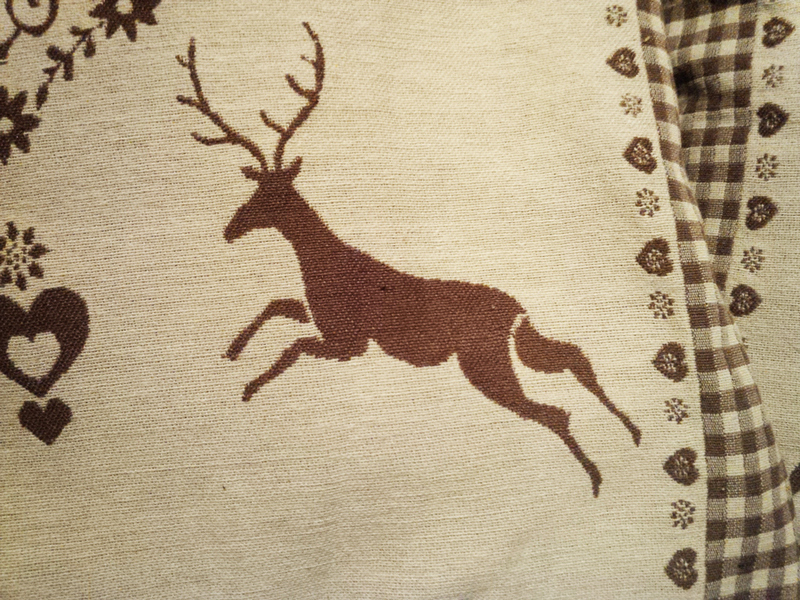 Now the thing is, that they went really well with the Christmas decorations we had up over December. So much so that for a few weeks I doubted whether it would be OK to leave them out all year long. Are they too Christmassy? 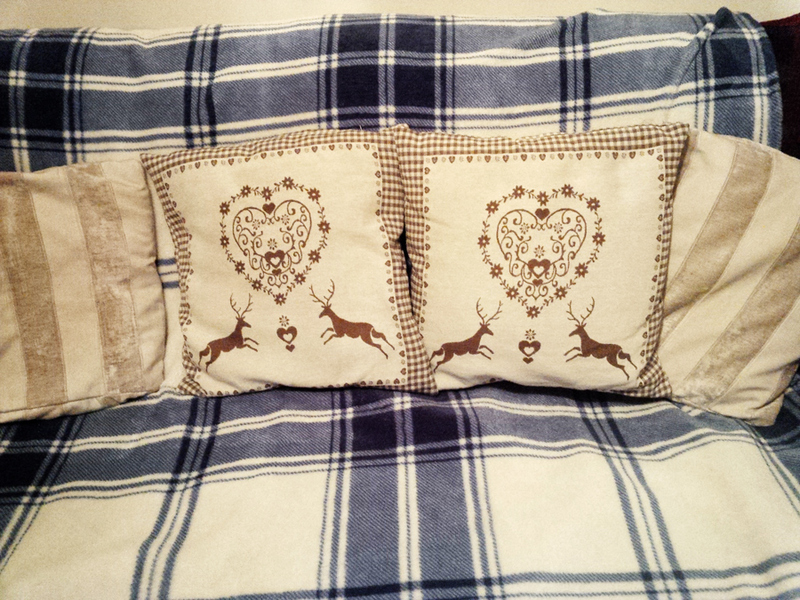 So I have decided that the deer cushions are here to stay and to be loved for the foreseeable future. Has anyone else out there had this dilemma with deer accessories? 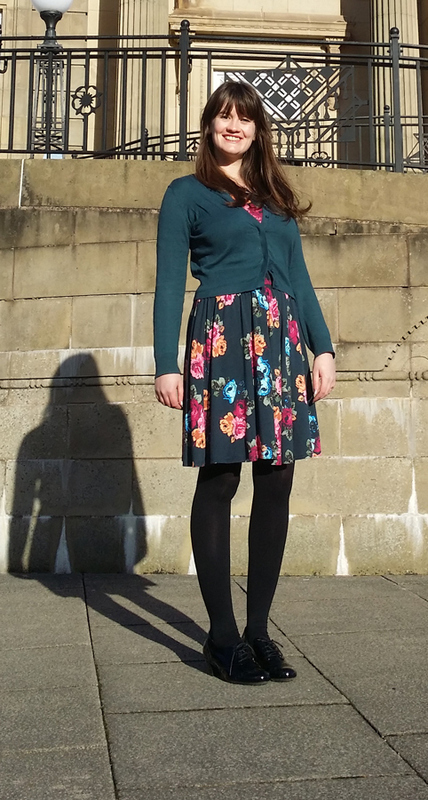 The sun came out again last weekend which meant another opportunity to grab an OOTD photo! I would like to do more of these but I still find posing for outfit photos very awkward, especially in public! But I really love reading OOTD posts on other blogs and I enjoy dipping my toes into the weird and wonderful world of style, so I will persevere! Today’s outfit is a pretty staple style choice for me – full skirted dress that falls above the knee, cardigan, black tights and shiny black shoes with a little heel. I wear this look or something similar probably three or four days out of each week. I find it is a pretty look with minimal effort! 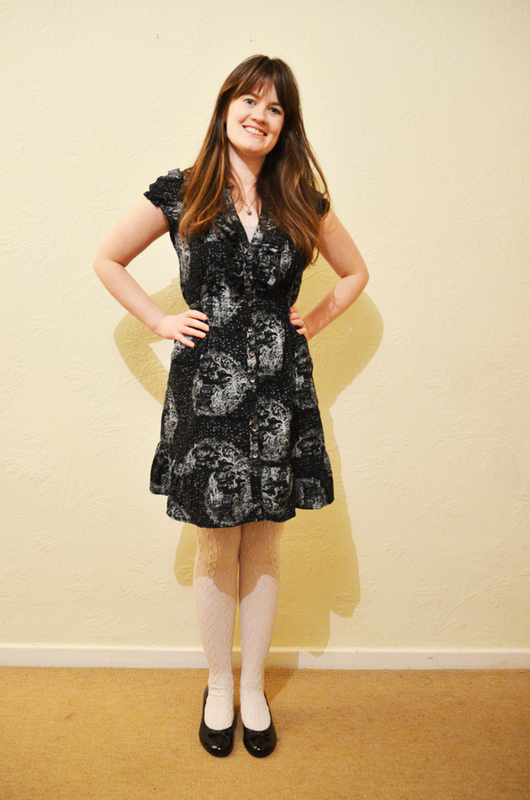 The dress is a couple of years old and is from ASOS, which is my go-to place for day dress shopping. I have another dress in exactly the same cut except that one is in a plain navy blue. I love the way the skirt falls in loose pleats and it has three-quater length sleeves with some gentle ruching. Oh and the roses on the print are beautiful! The remind me of the painted flower designs that you see a lot of in Lancashire on the boats that travel on the canals! The cardigan is from Hobbs and I have worn it so much that it is in danger of loosing its shape now! 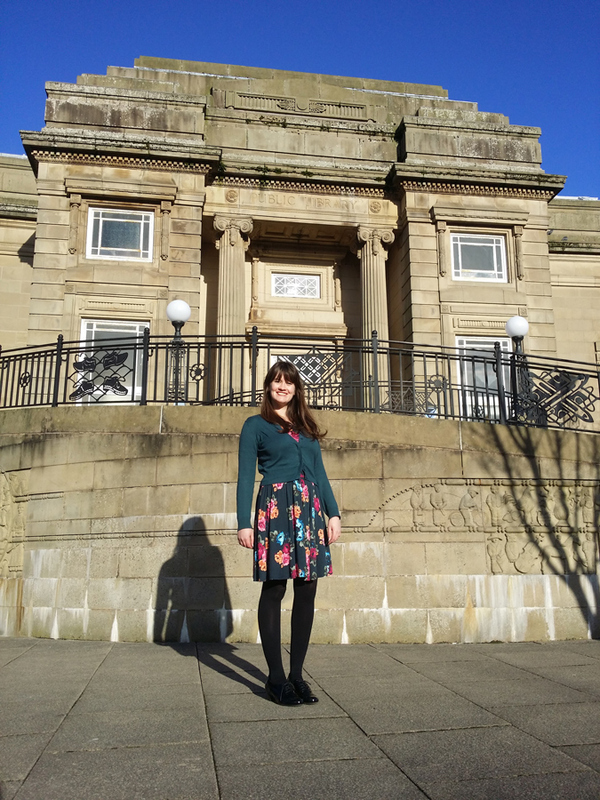 Although it was sunny, it was also very cold on Sunday, which meant that we only got one photo of the dress without the cardigan before I got too cold and had to put my layers back on! 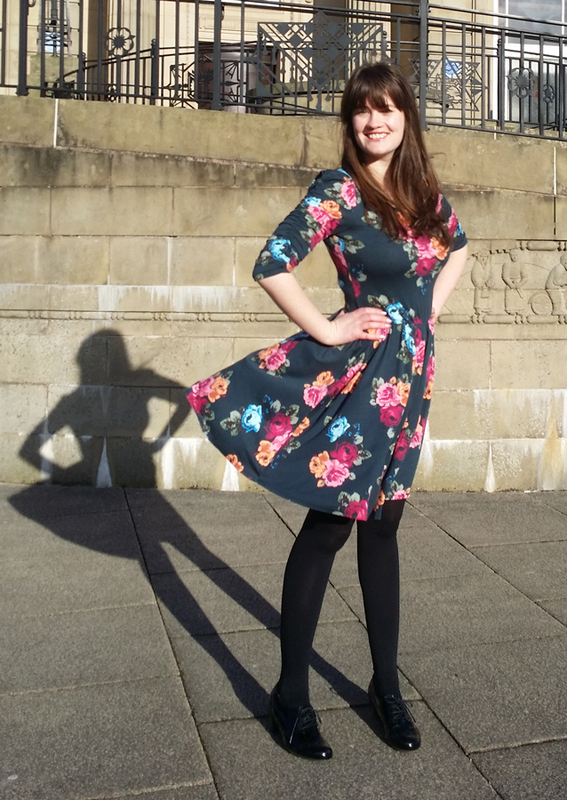 But at least the wind got to demonstrate the flow of the dress!